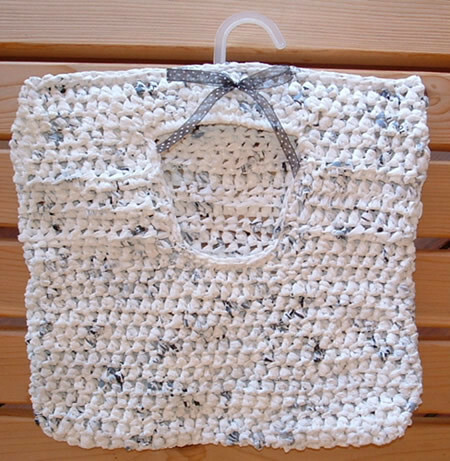 If you are looking for free plarn patterns or craft ideas for using recycled plastic bags, you are at the right website. 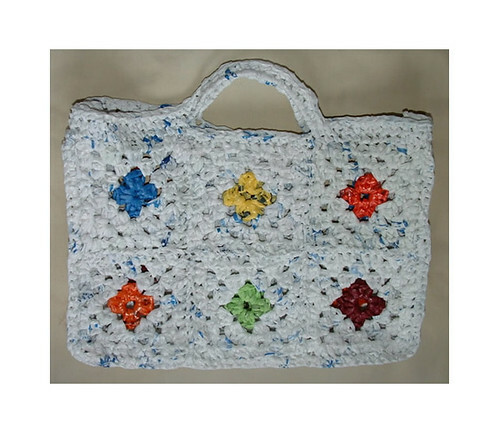 I have over a hundred free plarn patterns at My Recycled Bags.com. 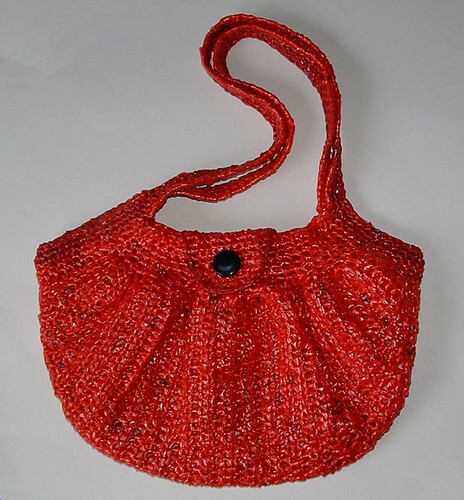 When I started this blog site back in 2007, I had just one crochet pattern for using recycled plastic bags made into plarn. Over the last 7 years I have created and added over a hundred new plarn patterns which I offer free to everyone for their personal use. 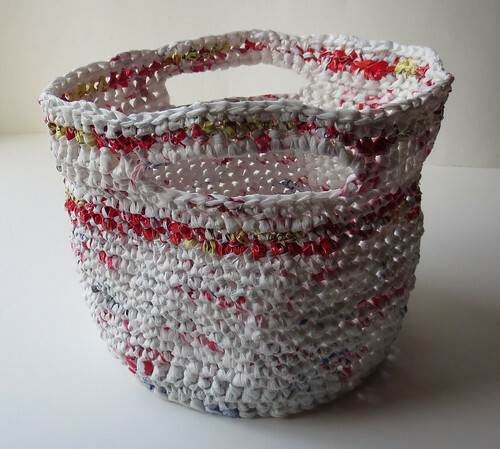 In case you are new to recycled crafting, plarn is the term which refers to the material one can make by cutting plastic bags into strips. Thus the term is PL (plastic) + ARN (yarn) = PLARN. I want to provide everyone with a comprehensive post here and provide everyone links on how to make plarn to all the different designs I have available in my pattern links. First if you want to know how to make plarn from regular plastic retail bags, here is my picture tutorial on how to make plarn. Maybe you have the thin newspaper bags and wonder how to make plarn from those. Here is my newspaper bag plarn making tutorial.